Addie is a recognized industry leader with over 25 years of experience and contagious passion in the field of vocational rehabilitation. She founded AGS in 1999 and has led the company’s growth; surrounding herself with like-minded professionals who share a passion for helping clients by providing solutions that maximize productivity. She is responsible for overseeing corporate and strategic vision. A visionary leader, she ranked on the 2015 PROFIT/Chatelaine’s W100 Canada’s Top Female Entrepreneurs. Addie is often called upon as a subject matter expert in the area of mental health and is an avid national speaker. She is co-author of the newly released book, The 5-Minute Recharge, 31 Proven Strategies to Refresh, Reset, and Become the Boss of Your Day. She has authored many articles in the field of vocational rehabilitation and disability management. She has been accepted by the Ontario Supreme Court to provide Expert Testimony in the area of vocational evaluations. Addie holds a Registered Rehabilitation Professional (RRP) designation from the Vocational Rehabilitation Association (VRA) of Canada, as well as a Certified Vocational Rehabilitation Professional (CVRP) designation from the College of Vocational Rehabilitation Professionals. She is Past-Chair of the Health and Wellness Committee of the Mississauga Board of Trade and active in her local community. In addition to leading our Assessment Division, Gina provides strategic oversight of the development and implementation of sales and marketing initiatives to promote AGS programs and services to its current and new customers in the insurance, employer and legal markets. 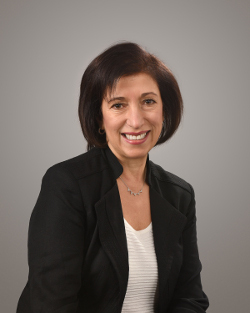 A trusted advisor with over 25 years of consulting, clinical coordination, quality assurance and business development experience in the areas of vocational rehabilitation, disability management and Independent Medical Evaluations, our clients often consider Gina a “go-to” resource. This is a reflection of her extensive network of experienced evaluators across Canada, focus on quality service delivery, responsiveness and attention to detail, which help ensure AGS’ commitment to exceed customer expectations every time. Gina combines her superior technical knowledge with her strong relationship management skills, complimented by her passion for problem-solving and effecting desired outcomes. 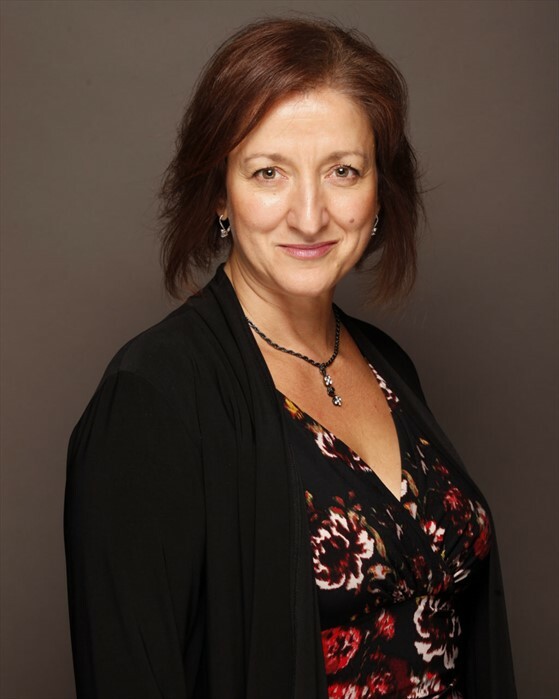 Gina holds a Bachelor of Arts from York University, a Rehabilitation Counselling Certificate from Seneca College and has diligently continued to pursue professional development opportunities throughout her career. Inspired by the generosity and giving spirit inherent in our industry, Gina enjoys volunteering at various charity events and helping to raise funds for a number of worthy causes. Martine is responsible for developing and growing business relationships with our many diverse clients across Canada. She leads a team of professionals that ensure the highest standards of service delivery in disability management and assessment services. 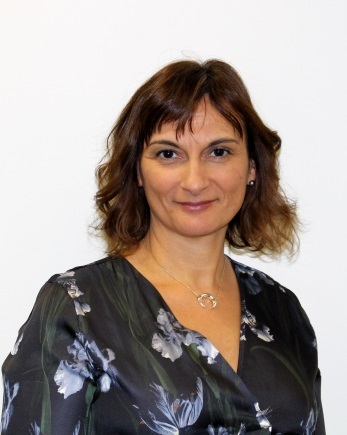 Martine is known for building and maintaining strong customer relationships founded on integrity, proven skill and the ability to deliver services on time and on budget. With more than 20 years’ experience in the vocational rehabilitation industry, Martine is a Certified Disability Management Professional (CDMP) as well as a Consensus Based Disability Management Auditor. In addition, Martine has been an instructor at the York Seneca Rehabilitation Services Program for over 10 years, having herself graduated from this program. She is a mentor to students and graduates from the program and is passionate about continuing education and training the teams that are fortunate to work with her. Martine has extensive experience leading multi-disciplinary teams nationally and developing customized services that are reflective of industry trends and best practice. 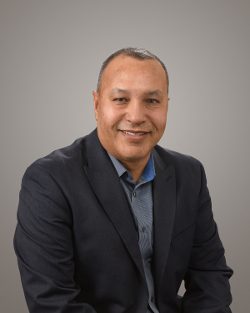 Erick is responsible for overseeing AGS’s Information Technology (IT) infrastructure, including networking, security, telecommunications, strategy and feasibility studies. Since 1999, Erick has provided AGS with leading and custom-tailored IT solutions aimed at serving the day-to-day business functions internally, as well as our clients’ needs. Erick has an extensive background in the field of IT, having held a number of positions in the private and public sectors, from dotcom to banking and healthcare. His reputation for judicious use of resources and a focus on strategic solutions analysis has resulted in a very trim-lined IT division focused on bringing the right technology and people to the organization. Erick holds a Diploma in Computer Programming & Analyst from the Toronto School of Business & Seneca College.